VAP'NEWS: The e-cigarette news for Tuesday 23 April 2019. 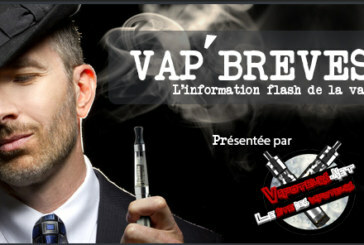 The e-cigarette news of the last days and live. VAP'BREVES: The news of Tuesday 7 June 2016.